This morning I toured the newly renovated naval maintenance and restoration workshop at the Sydney Heritage Fleet Shipyard. A grant of $20,000 was awarded through the Federal Government’s Stronger Communities Programme to renew the workshop. General Manager Ross Muir, and associate Tim Drinkwater, should be enormously proud that the shipyard gives volunteers aged over 65 years a way to remain physically and mentally active by working on the restoration of our heritage maritime vessels. Currently there are seven operational large ships maintained by the senior voluntary workforce, including the James Craig Tall Ship (1874) and the Lady Hopetoun Steam Launch (1902). There is also a fleet of small boats berthed at the facility. The funding to upgrade the workshop has provided volunteers with a safe space to continue restoring the enormous John Oxley Steam Ship (1927). 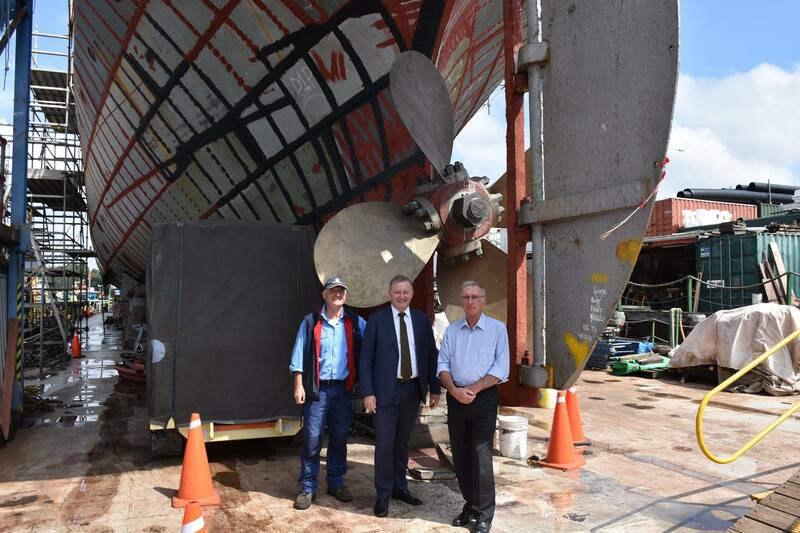 I wish them luck for this ambitious project that is helping renew Rozelle Harbour.